I remember feeling incredibly sad the day after my wedding was featured on Style Me Pretty, because my day on Style Me Pretty was over. But, guess what! Sometimes life spins you around and, just about a year later, your work is featured on Style Me Pretty! Check it out right here. S’mores anyone!? Homemade vanilla bean marshmallows and homemade (vegan!) 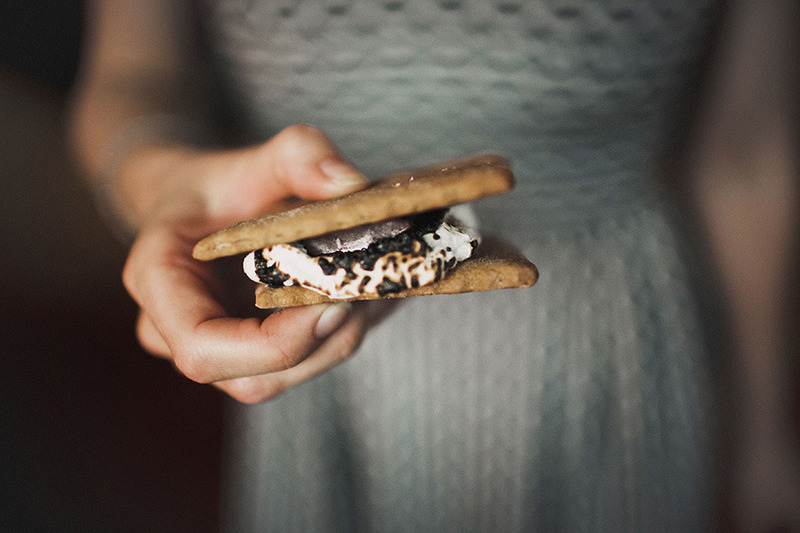 graham crackers make this s’mores bar extra-special. 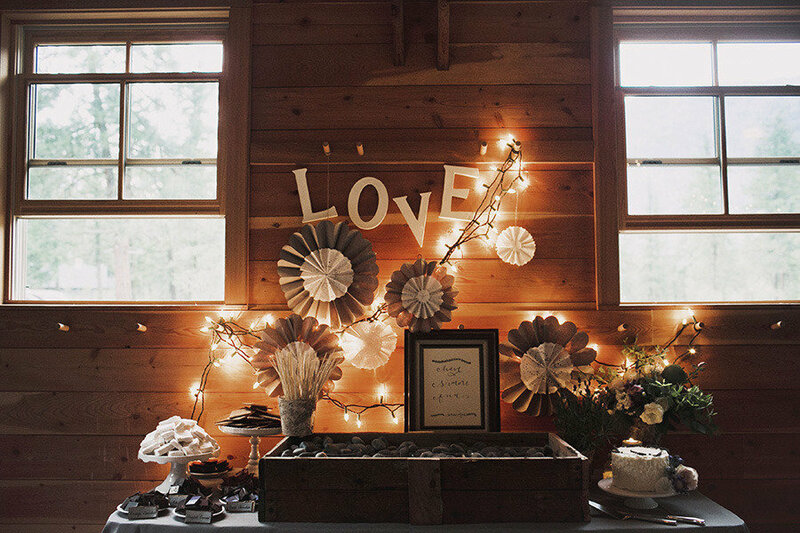 This wedding was styled by Finch & Thistle Events, one of my favorite event planners. They did the flowers as well. Everything they touch seems to turn to gold. Beautiful, sparkly, event-perfection gold. 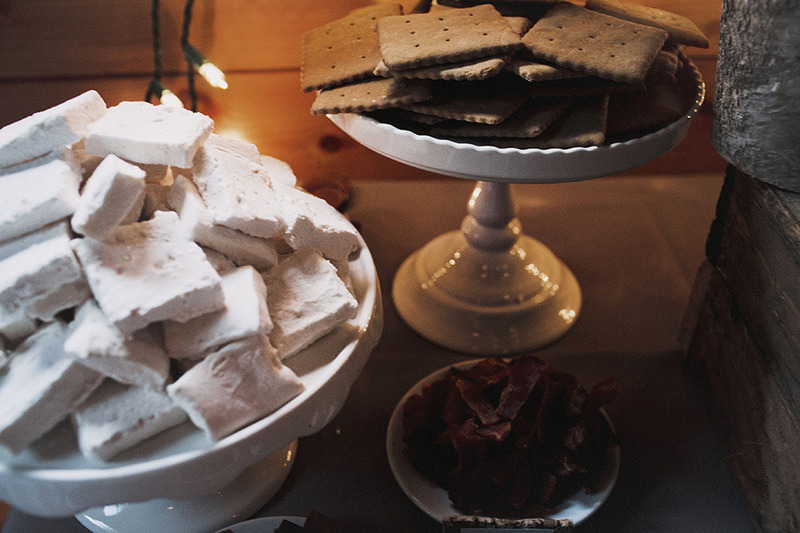 I mean, really – how gorgeous is this s’mores bar!? The calligraphy was done by LaHappy, and these incredible photos were taken by Chantal Andrea. I love working with all of these folks, as well as the bride and groom, who were ridiculously fabulous people. 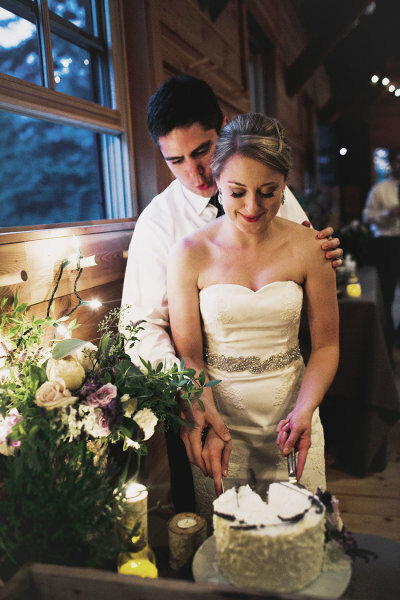 Kerissa Bakes also baked up a pretty little cake for the bride and groom to cut! I hear rumors that they might have finished off the vanilla lavender yumminess by the end of that night, which I love to hear because cake is meant to be eaten – every last crumb! Great. Now I want s’mores!